When he found himself down a set to 19-year-old American Frances Tiafoe, 36-year-old Roger Federer did not blink. As if staring directly into a sun of his own creation, Federer assessed his odds of survival and took to relying on the things that have gotten him by for so long: namely, an unparalleled control of proceedings and measured daring. Tiafoe dared the 19-time Grand Slam champion on numerous occasions, but the risks he took ended up being for naught, at least this time. With a Roger Federer first round proceeding, the story becomes a narrative unto itself: how does Fed reveal himself, slowly, unsuspectingly, to a tennis public that has witnesses his every move, jut, turn and pivot? Even having abandoned this period of the previous calendar year, Federer remains a captivating sight for the tennis audience, especially those in New York, who yearn to watch perfection reach its most perfect, even under the most relenting of circumstances. The announcers threw in the first howitzers, most of which touched upon a brush with majesty in May. Frances Tiafoe, a 19-year-old who has been the subject of profiles in both the New Yorker and New York Magazine and who just this year pushed Federer to a tiebreak in South Florida, is a promising American player, the likes of which many of us stateside have not seen domestically since, depending on your parameters, John Isner or, more likely, Andy Roddick. Like Gael Monfils, Tiafoe takes numerous chances, and like John McEnroe, he can be inspired to victory on the outcome of a call. Either of the previous statements can be applied to any tennis player, really, but what differentiates them is how they react: just ask McEnroe, and then refrain from asking Federer. The former lived on fury, in his seemingly endless battles with Bjorn Borg and Jimmy Connors, and the latter subsists, like an avalanche preying on your vegetarian lunch, on the respect of his fellow players, even (especially, particularly with 19 majors) when accounting for his advanced age. Even so, Tiafoe met Federer’s challenge with moxy, powering to a two-set apiece tie to force a fifth set. Tiafoe never appeared to be himself after the first set, but that one undid Federer so much so that he had to recorrect in an immeasurably pure way. At that point, Roger Federer has to have known that his rope was running thin, but he could never allow himself to think about it. Undoing that would undo everything you and I think about him, and, more importantly, that he thinks about himself. Throughout the match, both players used their rackets like paint brushes, pursuing the empty spaces and leaving those filled behind for the unfulfilled. But Roger Federer knows when to buckle in for the long haul, and he came prepared with snacks, a book and eclipse-safe glasses. Fed served first in the fifth set, and he immediately meant business. This does not seem customary of the Swiss, except that they typically enjoy things to be done in a timely fashion. From there, Tiafoe held, showing his own mettle. Only then did the sweat, already evident on television, begin to show. Federer’s command of his serve pulled through, and he began to wrangle his uncharacteristically clumsy second serves and returns. He minimized his unforced errors, of which both he and Tiafoe amassed an absurd amount over the course of the match, and regained control through forehand winners and returns that, while classically and aesthetically pleasing, were borderline unnecessarily picturesque. Withstanding Tiafoe’s seemingly relentless assault, Federer emerged victorious, 4-6, 6-2, 6-1, 1-6, 6-4. Arthur Ashe Stadium makes legends out of heroes, but what is one to do with a 19-time Grand Slam champion? All that remains is turning to Federer, whose presumptive date with Rafael Nadal – a player he has never met at this tournament – awaits, star-studded, highlighted and decorated with sufficient trimming, in a world of our creation. 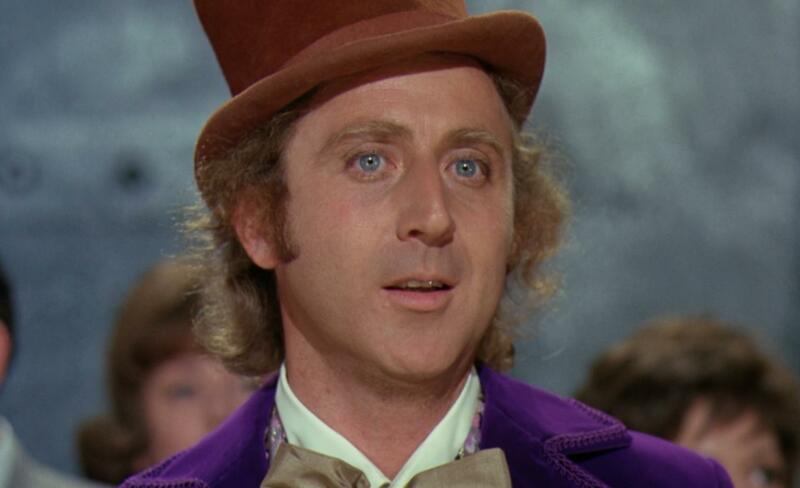 Come with me, and you’ll be in a world of pure imagination. Take a look, and you’ll see into your imagination. Where, courtesy of some savvy reportage, I first read about him, along with Taylor Fritz.